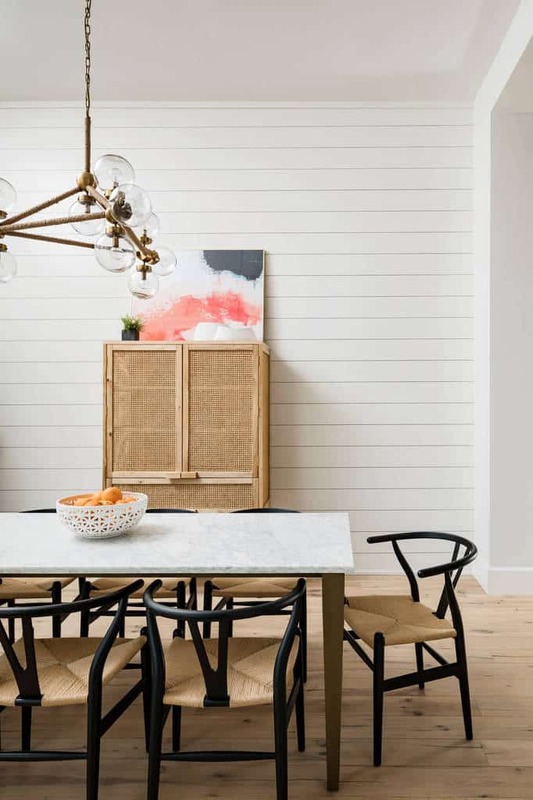 Have you been looking for ways to update your dining room? 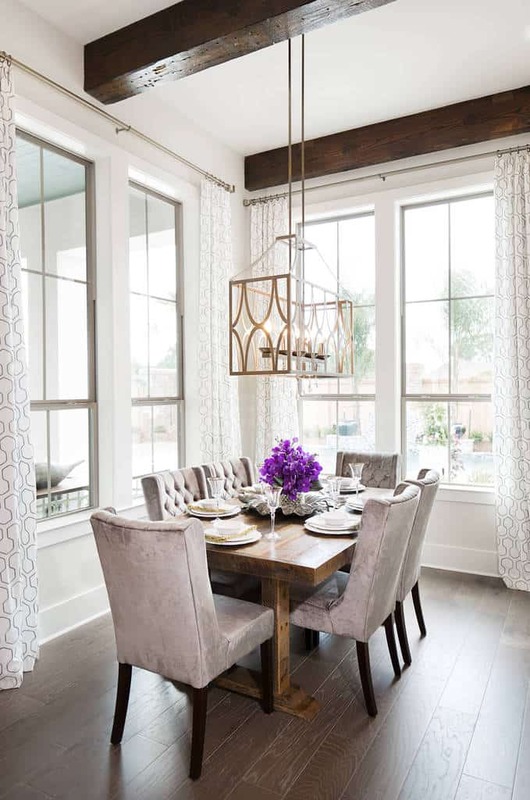 If you want a dining room that is more fashionable and will be a place you and your family will look forward to eating and talking each day, you’ve come to the right place. 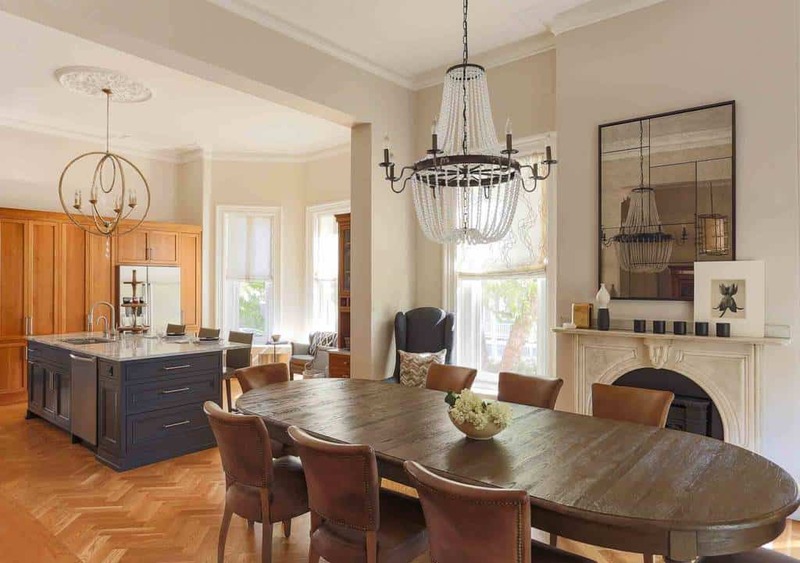 Here you’ll find a plethora of dining room design ideas. You might just fall in love with one (or many). Wondering what kinds of inspirations you’ll find here? 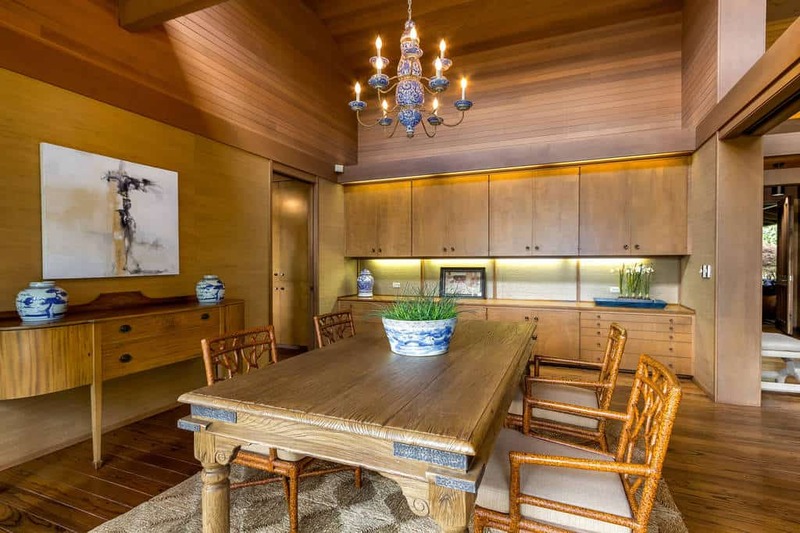 How do glossy maple floors or luxurious mahogany tables sound? 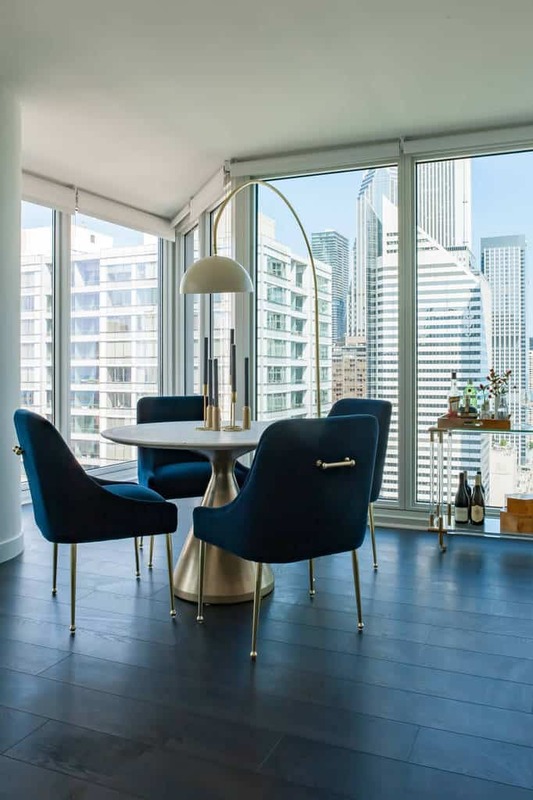 Do beautifully framed mirrors and suede-finish chairs appeal to you? What about exposed brick, khaki and white banquettes, and combinations of rose and dark chocolate? Enjoy our 43 images below. 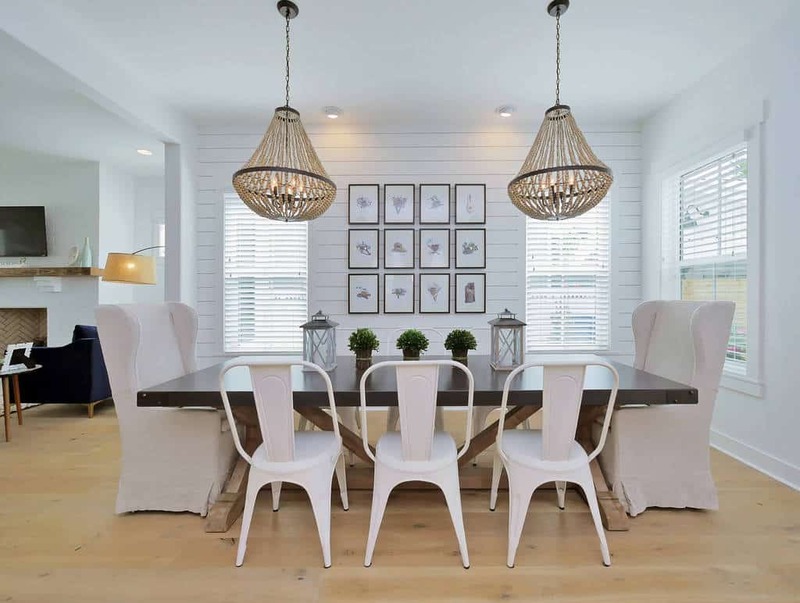 This dining room’s white paneled walls provide a fresh look, while the rattan-enhanced simple cabinet and chair seats add a homespun appeal. 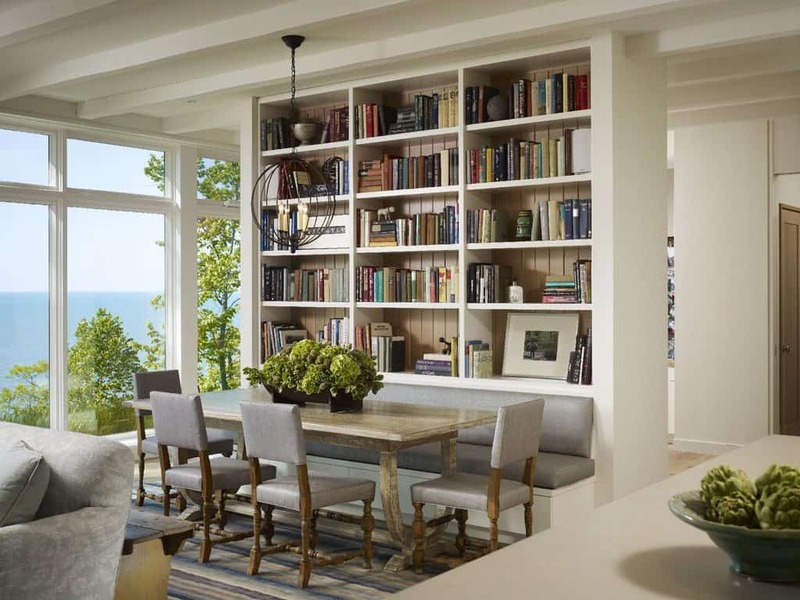 An ideal dining room for the reading enthusiast, this space features an abundance of stylish shelves. 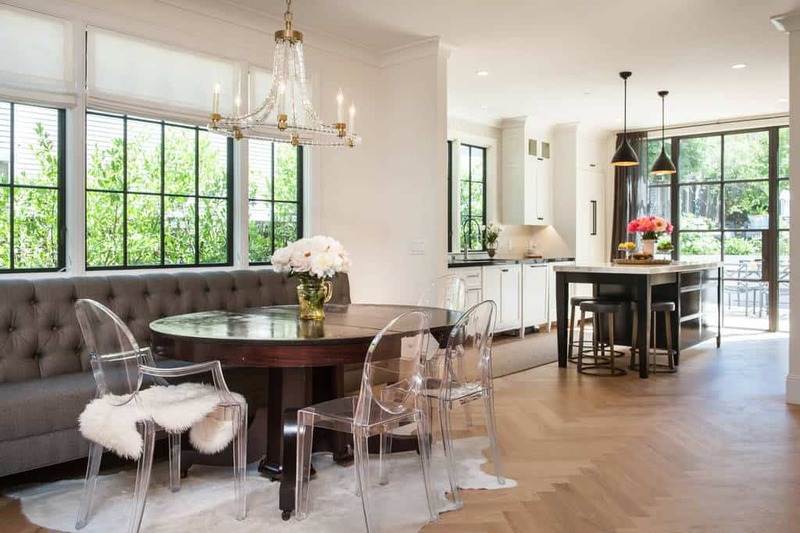 This dining room features gorgeously glossy maple hardwood floors. A sheepskin rug under the dining room table is always a stylish touch. 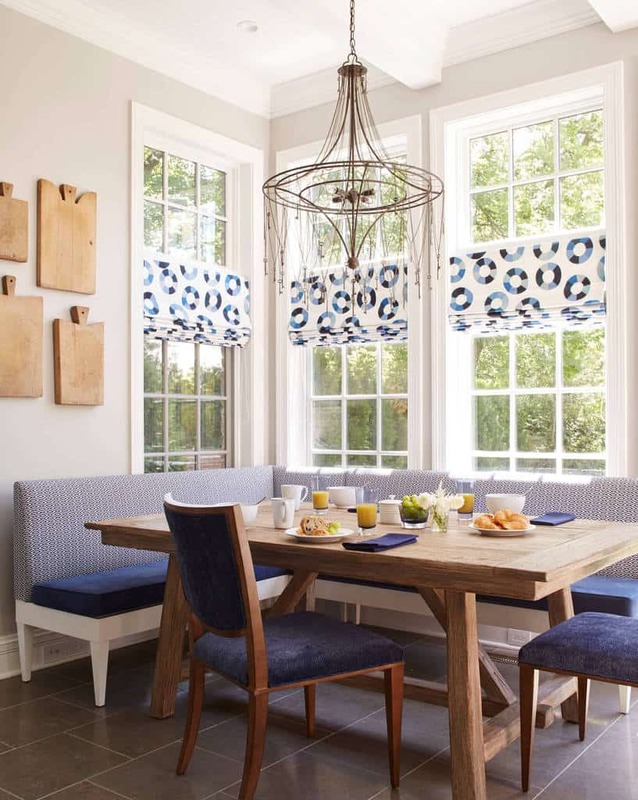 This window banquette seating features solid blue seats and patterned backs. This impressive mahogany dining room table is complemented by chandeliers with chocolate accents. 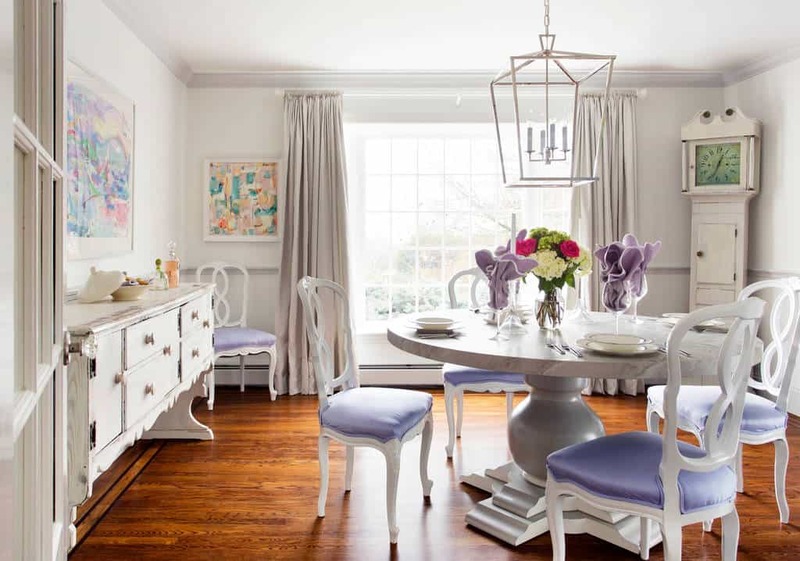 This dining room boasts pale lilac velour chairs with mahogany legs. Exposed beams in the same dark wood are a wonderful element, as well. 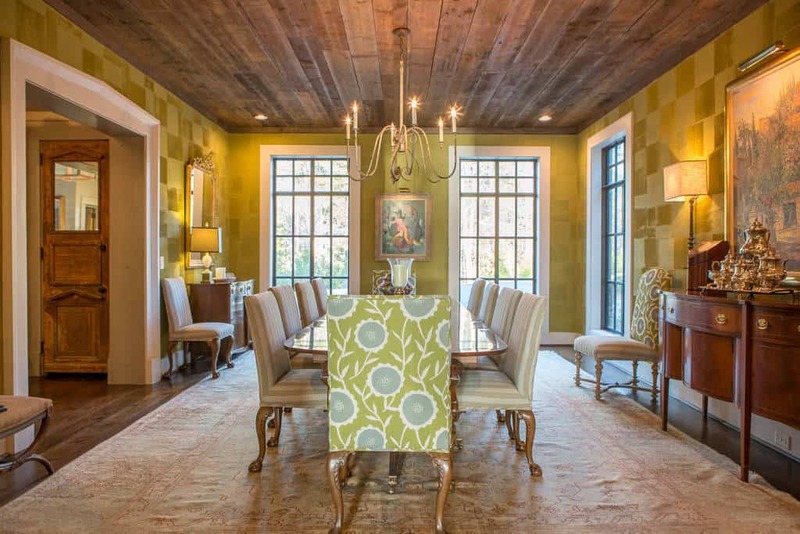 This dining room boasts glossy hardwood floors with a vibrant color. 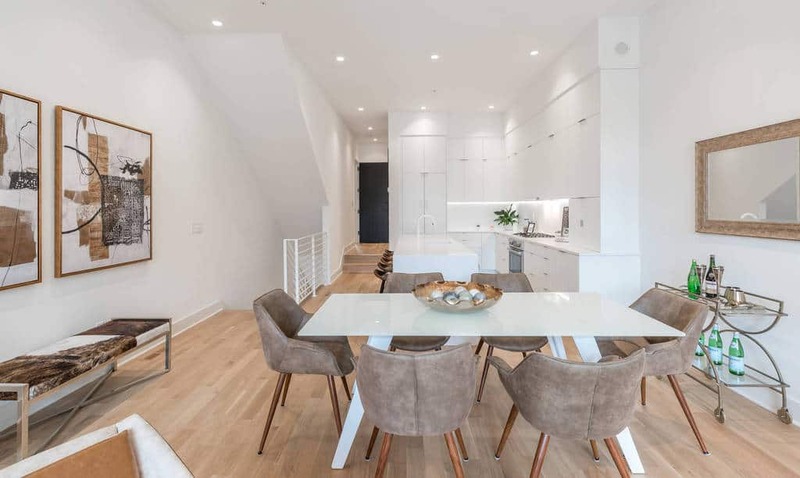 These pale pine hardwood floors look especially beautiful with fashionable cream-colored chairs. 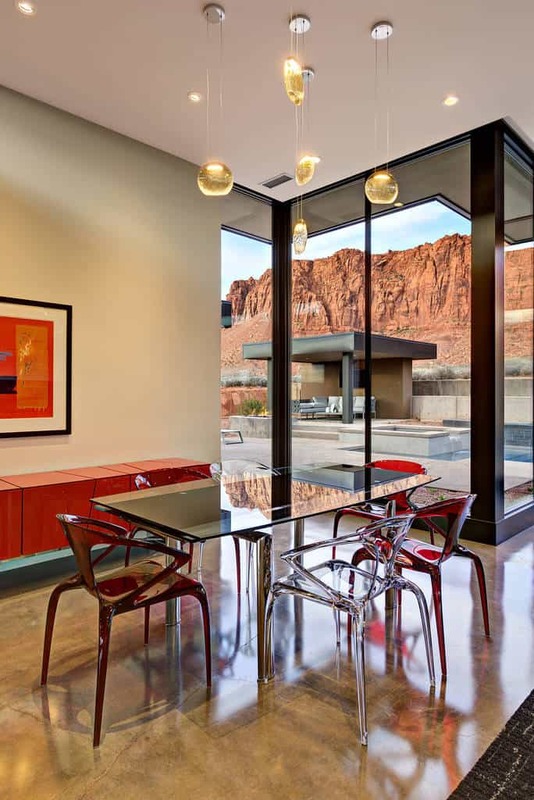 These suede-finish chairs with splayed legs add a sense of comfort and warmth to a modern dining room. 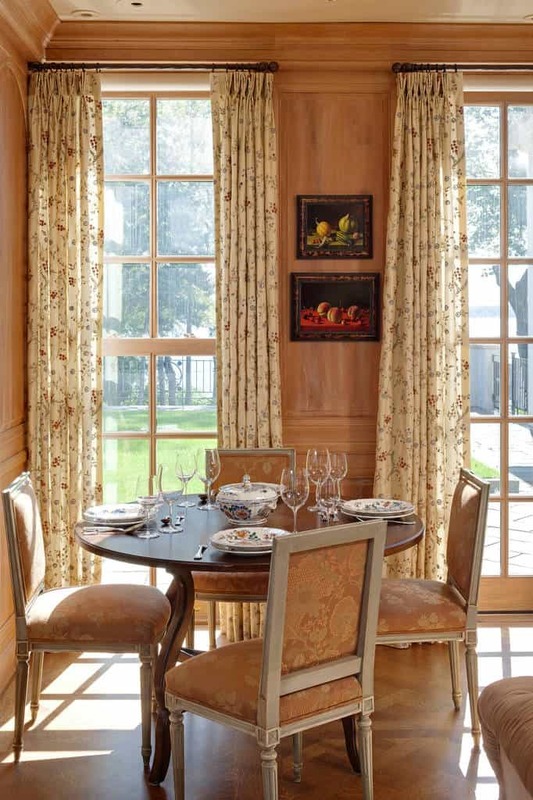 These chairs with soft terracotta upholstery beautifully complement the dining room’s patterned curtains. This dining room features appealing hints of the farmhouse with its charming chairs and crockery. 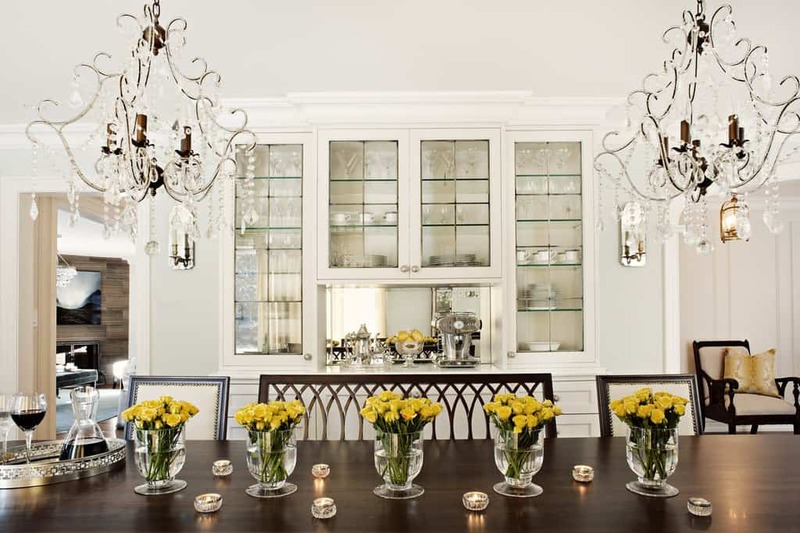 This stunning bouquet of white flowers in a vase makes a splendid centerpiece for the dining room table. Teal chairs add to the sophistication of this stylish dining room. 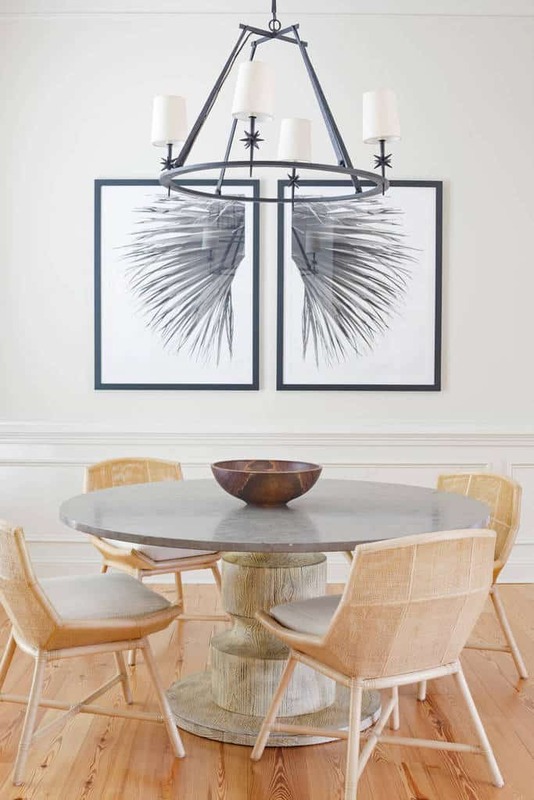 This fashionably worn wood table creates a fascinating contrast to the dining room’s upscale crown molding. This ivory table works well with the softly-colored chairs that surround it, as well as the rug beneath. 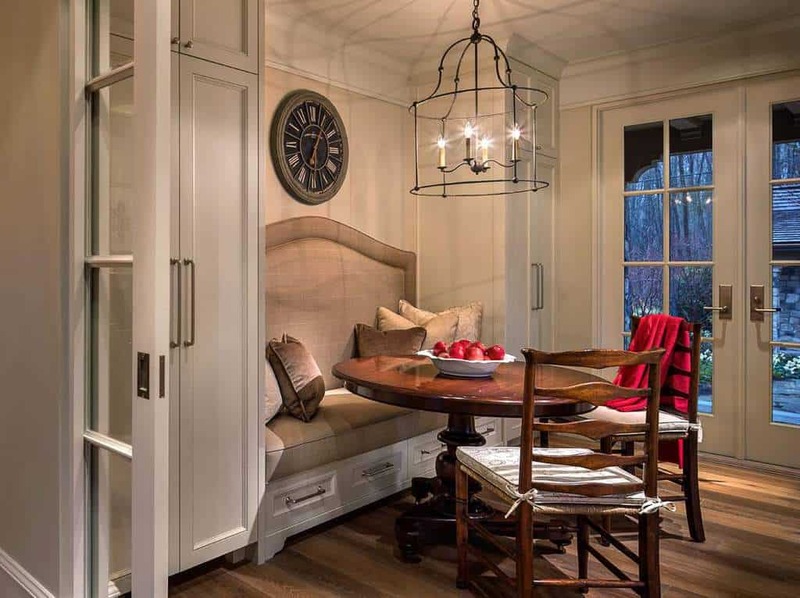 This curved banquette works well in this stunning room with wood panel walls. Photo by Clay Construction Inc. This dining room’s ceiling molding and the glittering crystal chandelier that hangs from it, make for an elegant experience. You’d enjoy eating breakfast with your family in this bright and cheerful kitchen with colorful accents. 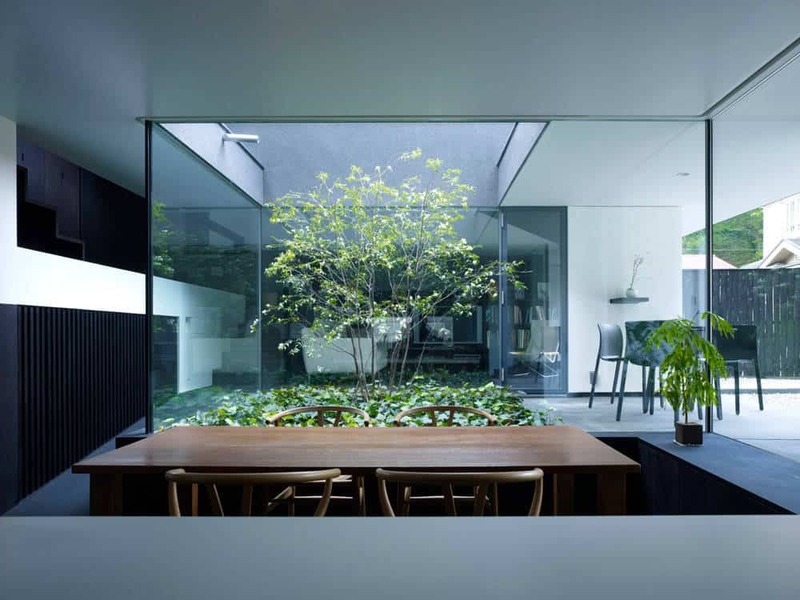 This dining room’s long mirror has a beautiful frame that elevates the space. 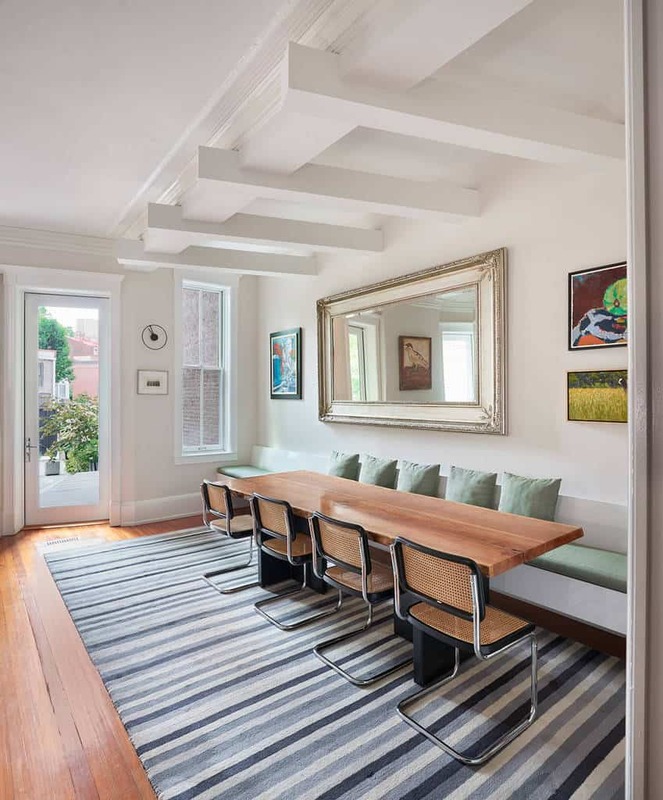 This dining room’s exposed brick helps create a stylish yet cozy atmosphere. These faded wood panel walls adds a rustic element to this large dining room. This dining room’s Queen Anne chair legs work wonderfully with the candelabra-style chandelier and other upscale elements. 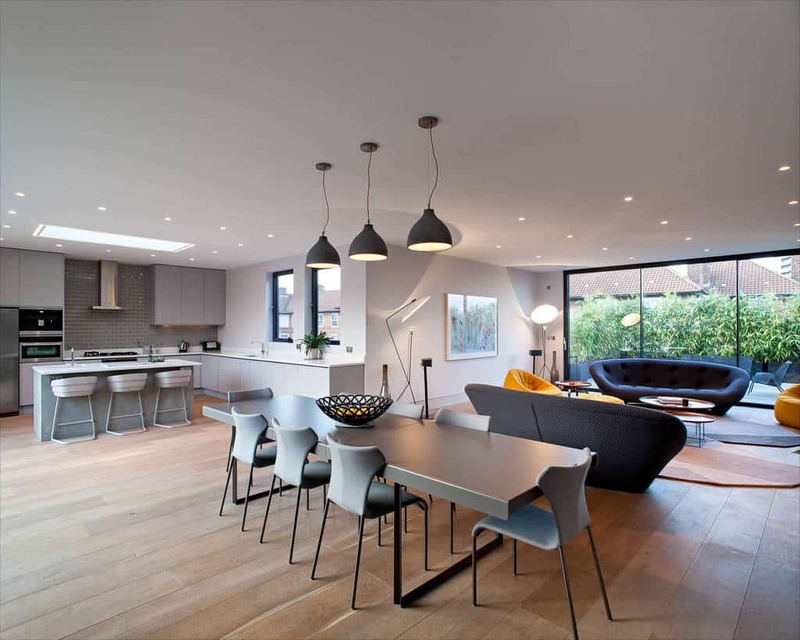 This combined dining and living room has a modern design that makes it perfect for socializing. 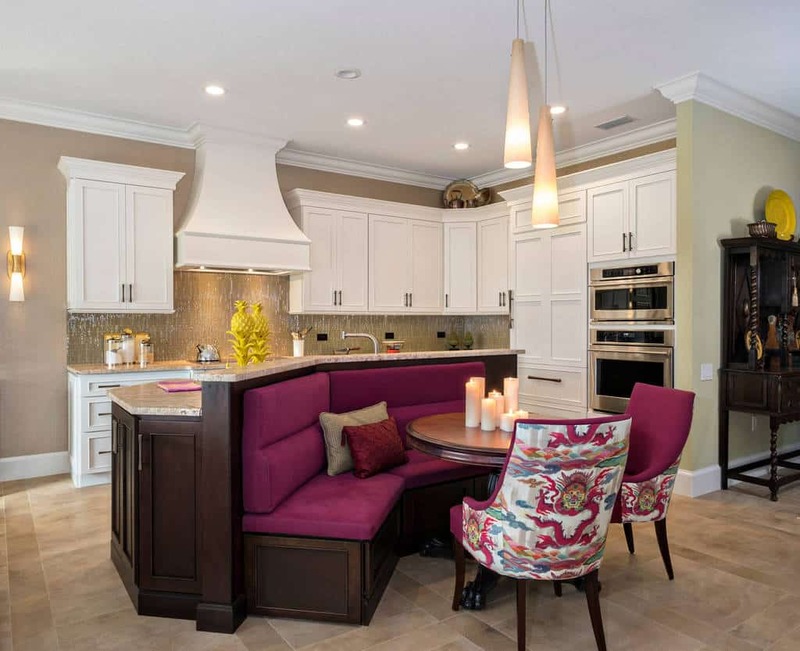 A rich purple and dark-wood banquette is successfully paired with bright yellow accents. 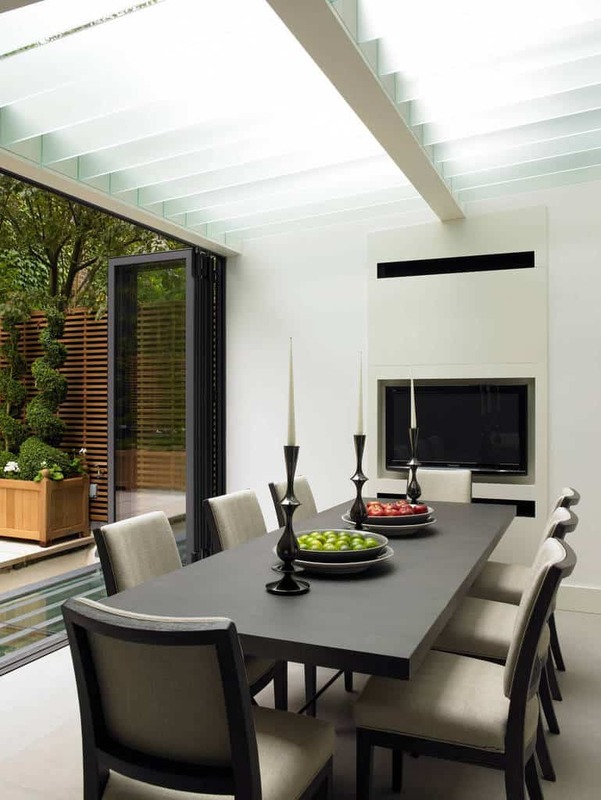 An impressive entrance is always a desirable feature for the dining room. This unique display will fascinate the entire family. 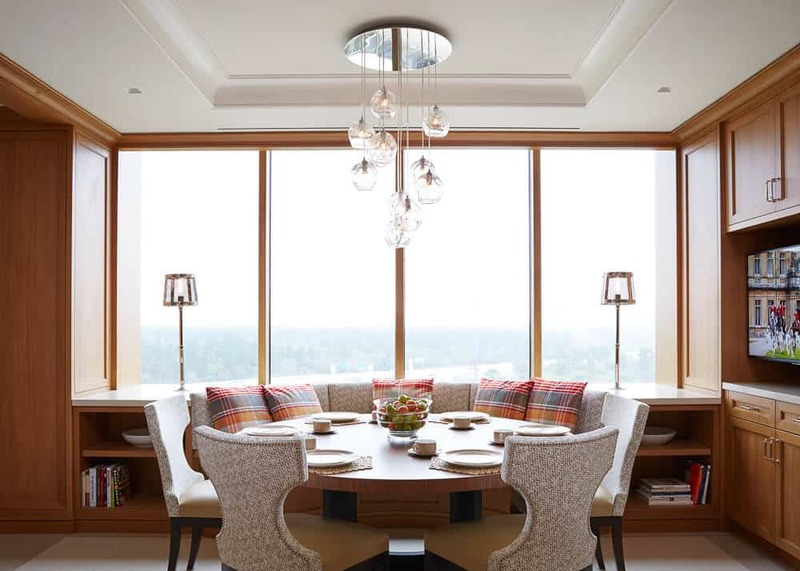 Creative lighting solutions give this dining room an extra sense of style. 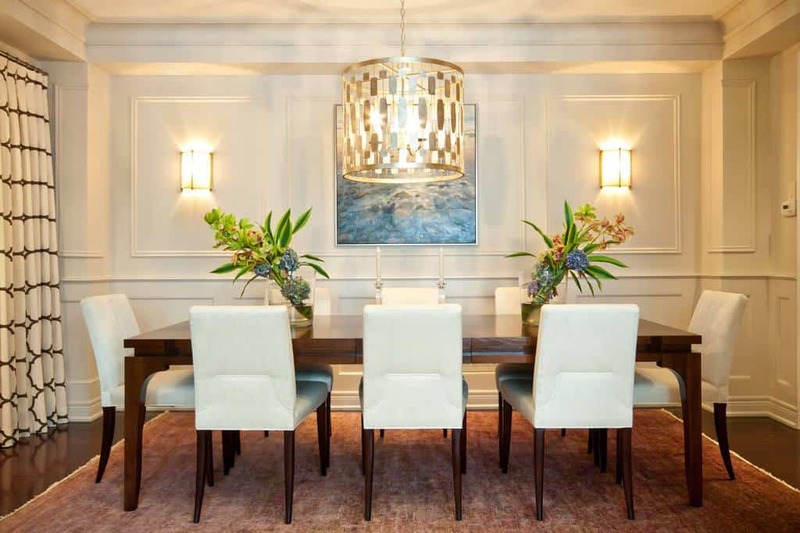 This dining room has a unified look with matching chairs and hanging light fixtures. Molded wall panels in a cream color are always an impressive design element. 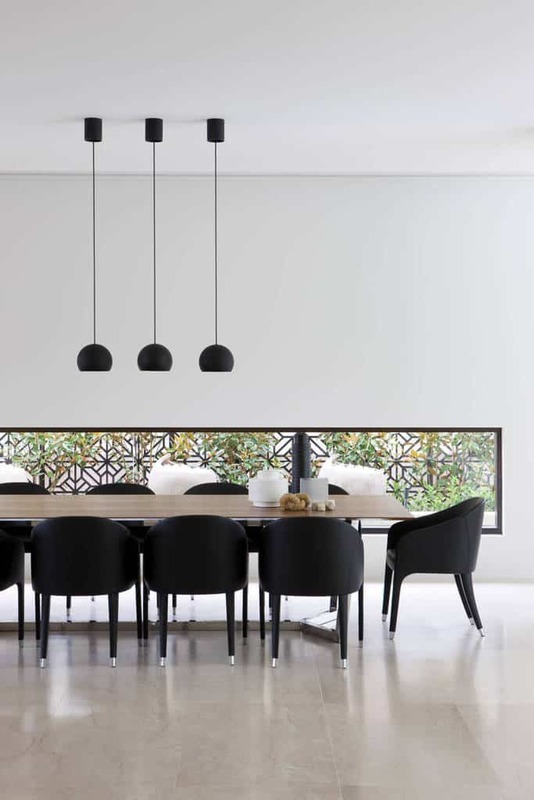 The attached light fixtures in this image brings even more beauty and style to the scene. A sheepskin throw can be added to a chair for a bit of extra flair. 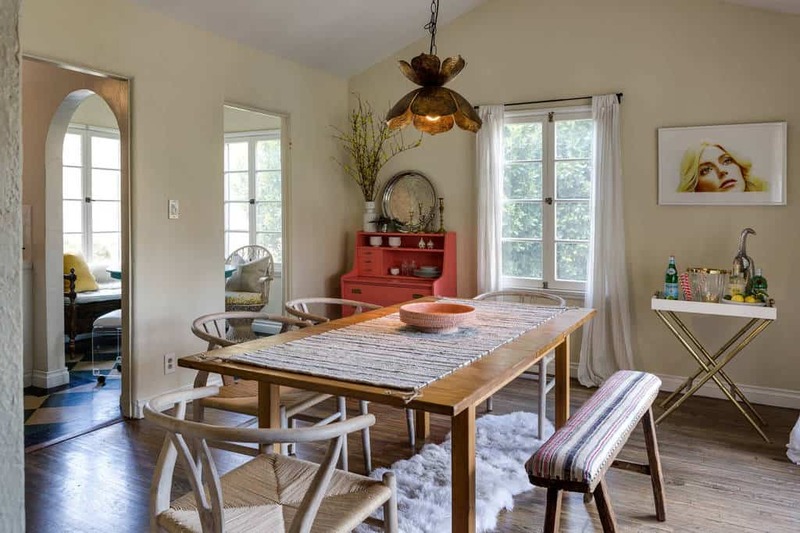 This dining room makes use of red accents to liven up the space. This stunning dining room is filled to the brim with luxurious, upscale elements, such as the beautifully draped curtains, plush rug, mahogany-trimmed chairs, and splendid chandelier. 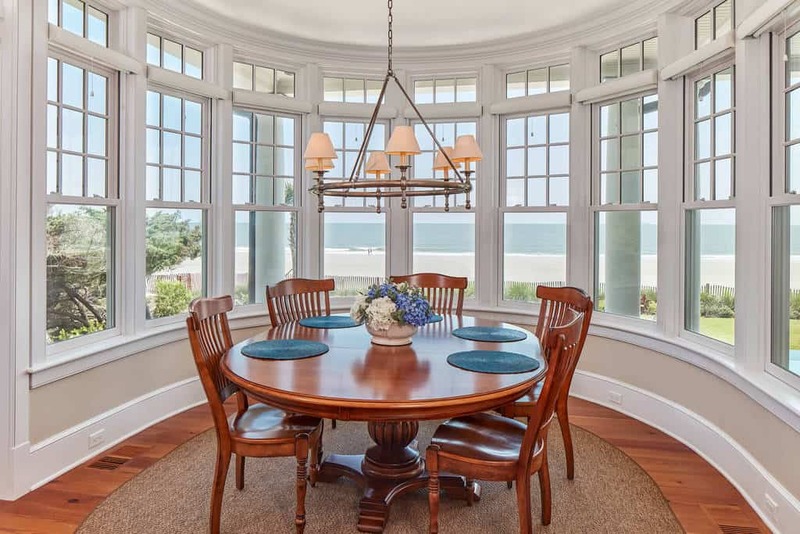 This dining room has a multitude of windows, each offering a slightly different perspective on the beauty outdoors. 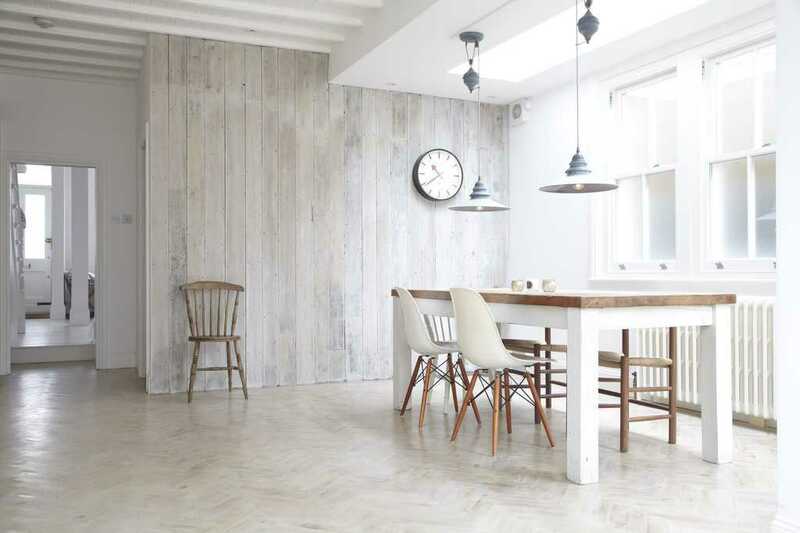 A matching wood table and floor beautifully finish the look. 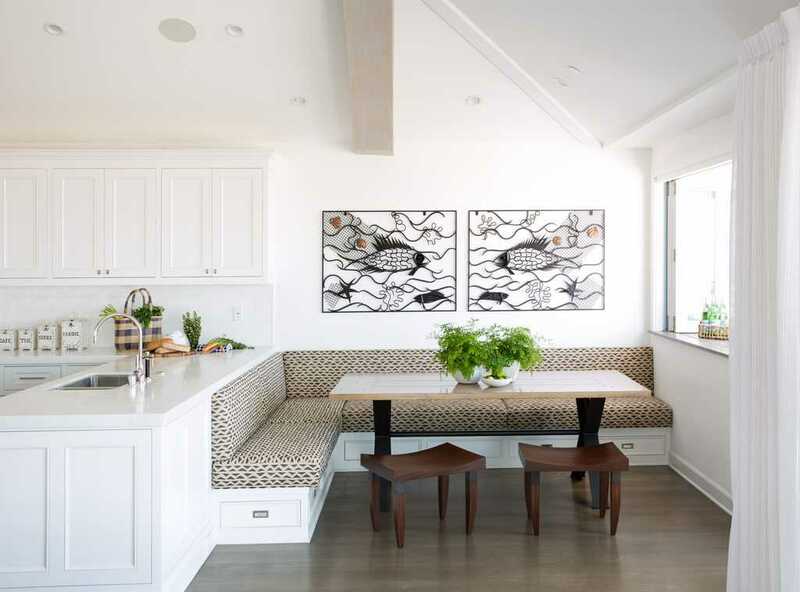 This khaki and white banquette works well with the dark-wood floors and bay windows. This trio of candle holders add extra symmetry to the table. Photo by Architectural Alliance Inc. Potted trees like these add whimsy and freshness to the dining room, as do the hanging bubble ornaments above the dining table. 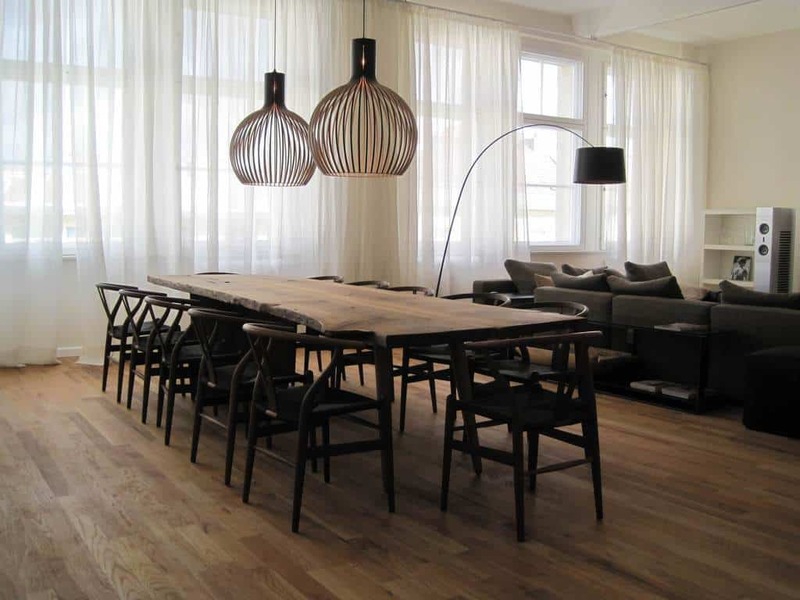 These chocolate-toned chairs harmonize beautifully with the slightly different shade of the wooden table. 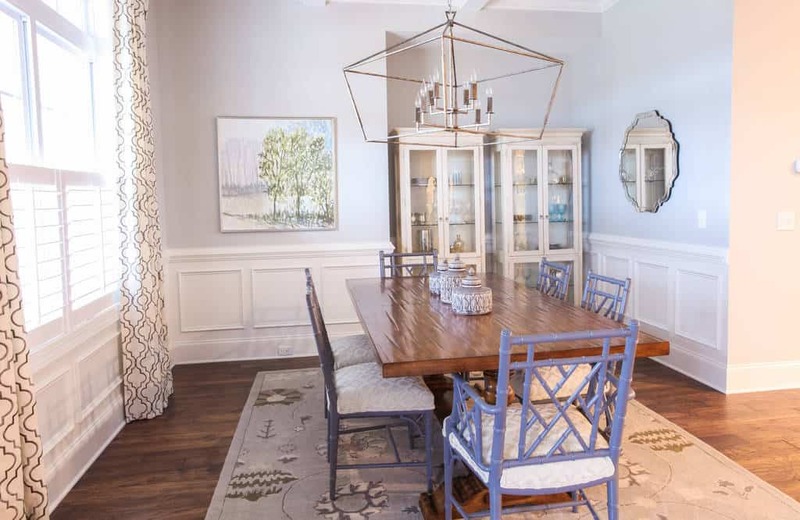 Photo by Jackie Syvertsen ~ Windermere Real Estate/BI, Inc.
A gorgeous amber tint is visible in this dining room’s floors, furniture and walls. This stunning combined dining and living room boasts a harmonious mixture of rose and dark chocolate shades. 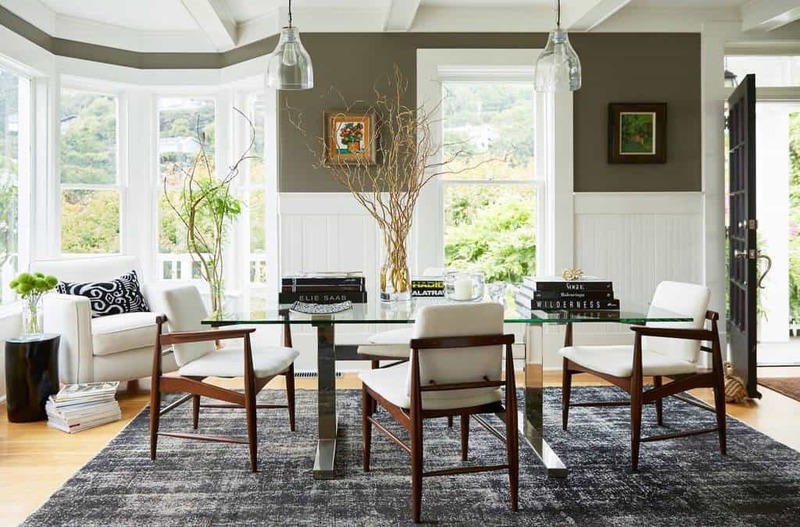 This fashionable dining room’s walls are a deep khaki on top and feature fresh white paneling on the bottom. Featuring creative graphics on the wall makes your space more memorable. Eclectic seating lets you put your own unique design stamp on the dining room.